Want to Add Aussies and Kiwis to Your Camp Team? Look no further! Did you know InterExchange Camp USA maintains the same low fees regardless of which country your camp recruits from? Staff from Australia and New Zealand are very popular at U.S. camps and we've got excellent candidates from these countries! Register with us now and you can hire staff through our Camp Placement program! 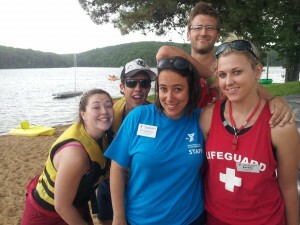 You tell us what you're looking for, and we'll find the right team members for your camp. You can choose participants from Australia, New Zealand or one of our 17 other cooperating countries. Why Choose Camp USA for Matching & Placement? Quality counselors and support staff. Thoroughly screened international applicants to ensure success at your camp. Affordable fees. As a nonprofit organization, we charge less than most programs while providing exceptional quality services. Program options. Whether you're looking for candidates or you already know people you'd like to hire, we have options that fit your needs. Personal attention. A dedicated member of our experienced team is available to support you throughout the season. J-1 Visa Sponsorship and processing. We handle all necessary paperwork.